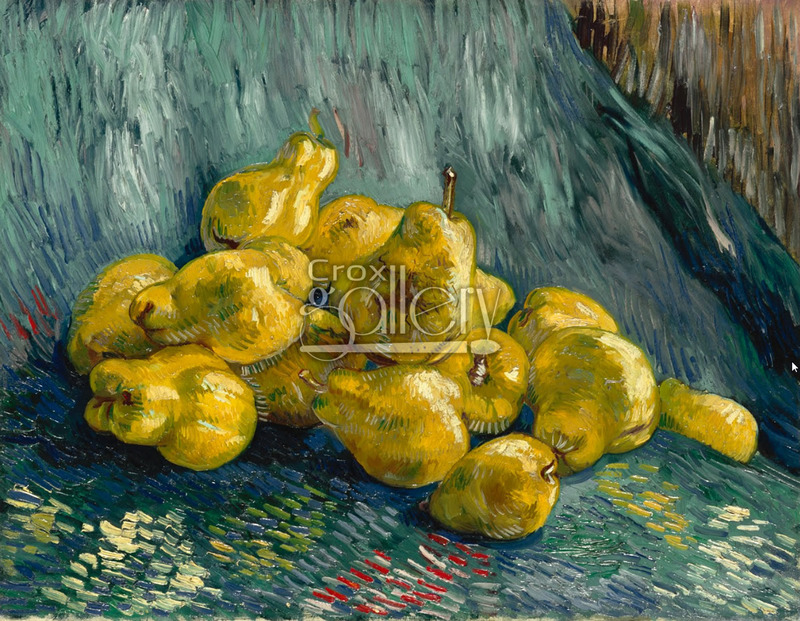 "Still Life with Quinces" by Van Gogh, Oil painting on canvas. 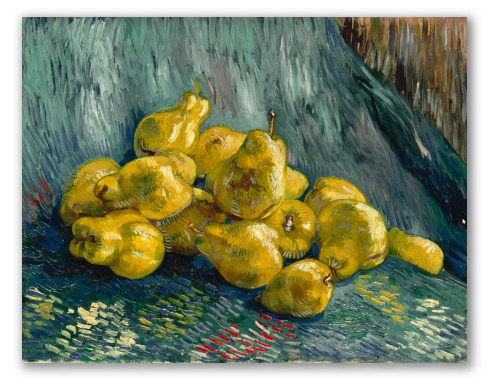 Still Life painted by Vincent van Gogh between 1888-1889. The painting presents 14 quinces on top of a blue fabric and a brown background. The details in brightness, color and above all brush strokes make this painting immediately recognizable as one of Vincent’s paintings. This painting is in Galerie Neue Meister, which belongs to the institution of state collections of Dresde, Germany.